§ 4 Responses to Icons of the Gowanus"
Your wordpiece on the O’Reilly landscape was well put together, and I agree with you that her landscape (the one shown) is visually refreshing. Who said mimetic art (art that copies reality) was dead? Thanks for your little contribution to civilization. 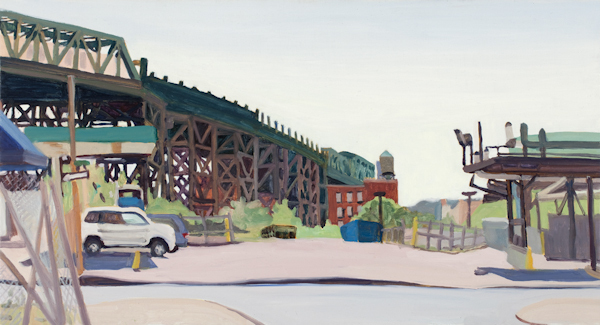 You are currently reading Icons of the Gowanus at Spoken and Sung.